The AddMySite (AMS) plugin for WordPress makes it easy for your visitors to add your site and feed to all of their favorite social-bookmarking services. Share instantly with awesome sites like Facebook, LinkedIn, Google Plus, and Twitter. With a few clicks, users can quickly bookmark or add your site to over 20 popular social bookmarking services. It’s like a dream come true for simple social-media sharing. It’s been a great run! With over 9,000 downloads and 15 plugin updates, the AddMySite project was educational, rewarding, and hopefully useful. But all earthly things must come to an end, so I will be discontinuing support and development of AddMySite as of March 3rd, 2018. The final version of the plugin will remain available for reference purposes. Upload plugin to plugins directory and activate. Visit Appearance > Widgets to enable and customize the AMS widget. Note: this is the final version of the plugin. Updates and support are discontinued as of March 3rd, 2018. Can you inform me how to get it to work with small icons like you have on the left? The functionality behind the icons to the left derives from the Sociable plugin for WordPress. The icons themselves are custom chunks pimped especially for perishablepress.com, but feel free to help yourself to any or all of them. Awesome plugin. I’m installing it after I’m done commenting. These instructions are as simple as A,B,C. Yet I’m having a problem with step 3. The instructions are simple, So I’ve quickly exhausted all of the possibilities where I may have messed up, but I don’t know squat about php. Any chance you might see a glaring error I’m missing? ..depending on the desired output. Let me know if you are still having problems, and I will do my best to help you. I’m actually just copy and pasting that from your instructions to avoid typos. I did the reinstall as you suggested and the problem persists so I’m pretty sure, as simple as this is, I’m managing to misunderstand something. Of course, the plugin directory is in wp-content and this is where I’m placing your plugin. I then go through a browser to admin (plugin) page on my blog to activate your plugin. 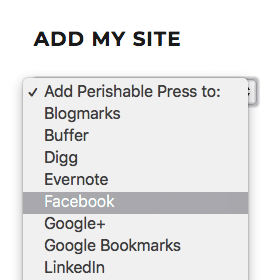 This seems like the right place as it does break the sidebar menu when i go out to look at the blog on a browser. You can probably tell, I’m in unfamiliar territory. I’m a decent photographer and a sorry computer technician. I do appreciate your time and knowledge very much. I guess something is eating the code snippets I cut and past into this forum. Maybe I shuold be typing that code into the sidebar.php file with bbedit as well. Something else to try…. To post code in the comments section, it helps to wrap each line with <code> tags to help WP distinguish it from ordinary text (it doesn’t always work, but it helps). As for the plugin issue itself, have you successfully installed other WP plugins on your site? If not, that may help determine if the problem is path related. Also, have you tried placing the function call on the theme’s index.php file? If not, try placing the function call both before and after the loop (hey, you never know). If it works in the index.php file, then the issue may involve the theme itself. In that case, you may want to check the plugin with a different theme. Some of these things may help shed some light on the situation..
Well, this is my first plugin I’ve tried to add so there’s no experience to fall back on (I’m new to blogging). I got the same error message when I tried to put the call in the theme’s index.php file. I also, tried this with two other plugins and got the same result which makes me feel pretty sure there is something messed up with how I have wp set up. I haven’t tried this with another theme yet. I’ll have to get to that when I have a few hours in the clear. I just don’t get how the call locates the function without a path to it,but I must admit I’m in unfamilure territory and learning as i go. One thing is certain… there is no way I’m gonna give up. I’m having the same problem as Mike. I like the plugin, and have installed many others in the past 2 weeks since I started my blog. This definetly seems like an easy one, yet it’s eluding me!